Paulo Coelho is one of the most successful authors in history. With more than 100 million copies of his books sold all across the world, Coelho has become a worldwide phenomenon. In fact, he is the best selling Portuguese language author of all time. Before dedicating his life to literature, he worked as theatre director, actor, lyricist and journalist. This Brazilian author was born in the city of Rio de Janeiro in 1947. His father was an engineer and his mother was a homemaker. Born in a middle-class Catholic family, Paulo completed his schooling from a strict Jesuit school. As a teenager, Paulo wanted to become an author, but his parents discouraged him for the reason that writing had no potential for a steady income in Brazil. When his parents could not convince Paulo to give up writing and literature, he was sent to a mental institute by his parents. At his parents’ wishes, Paulo enrolled in law school and left his dream to become a writer. One year later, he dropped out of college and indulged in the hippie lifestyle and unlawful activities. He tried several different sorts of professions before he returned to his dream of writing. During his spiritual quests, he learned about secret societies, oriental religions, and other topics that interested him. Though Paulo published several books in the 1980s, it was with the publication of The Alchemist that Coelho found the fame. The book is based upon the ups and downs of the life of a shepherd boy. The book is meant to inspire readers to follow their dreams regardless of circumstances. His first book was Hell Archives and it was published in 1982. But the book did not gain any popularity. In 1997, he released The Pilgrimage, which is about his spiritual experiences he has gone through. The inspiration he had from the travel experience to Spain is seen in this book. The book was first written in his mother tongue, Portuguese. After this book was released, Paulo Coelho left all the other jobs and dedicated himself to writing full time. Later on, The Alchemist was released, which became one of the most popular selling books all across the world. The book gained worldwide success and has been translated into 71 different languages. Since then, Coelho has been writing two novels every year. Three of his books – The Pilgrimage, The Valkyries, and Aleph are autobiographical, whereas the rest of them are based on fiction, mainly rooted on his experiences with life. Some books are in form of essays or selected teachings. As of 2013, Coelho has published 30 books. Most of his work has been adapted to other media. Paulo Coelho has met lot of success in his career. Most of his work is published in several different languages. For this, he also earned the prestigious Guinness World Record for the most translated books by a living author. Paulo Coelho married Christina Oiticica in 1980. 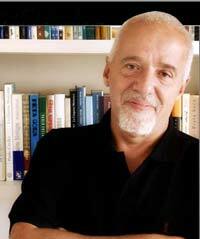 In 1996, he established Paulo Coelho Institute, which offers help to those who suffer financial issues. He is also a Messenger of Peace in United Nations.